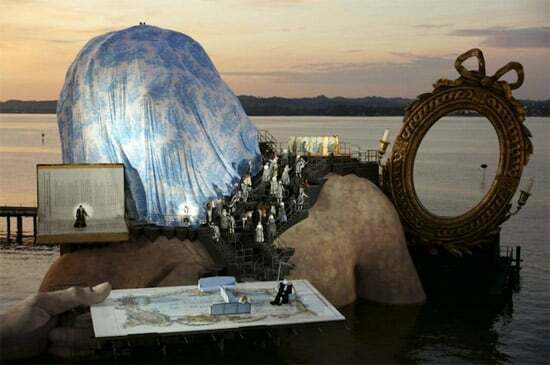 As you can see, the waterproof stage, which was designed by David Fielding, mimics the shape of a giant man’s fat torso. 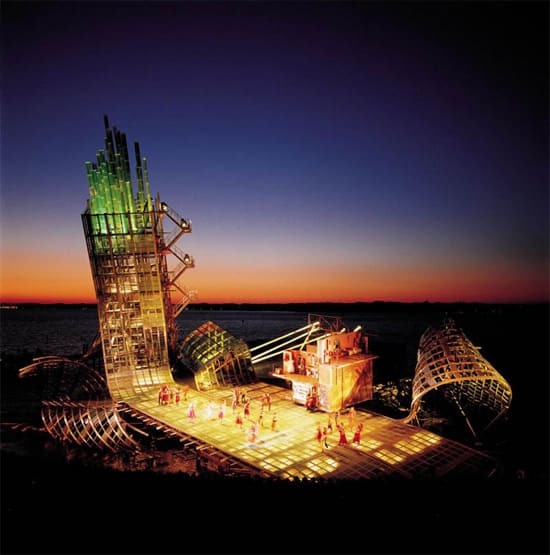 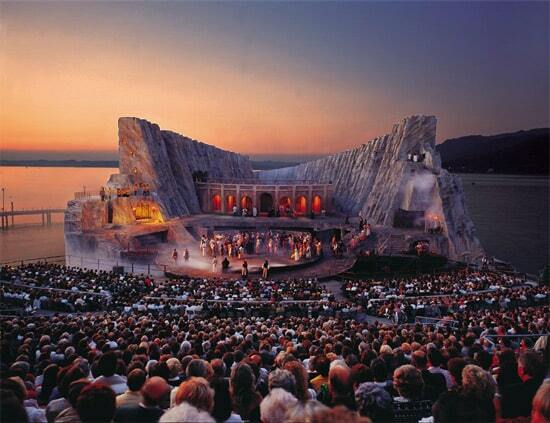 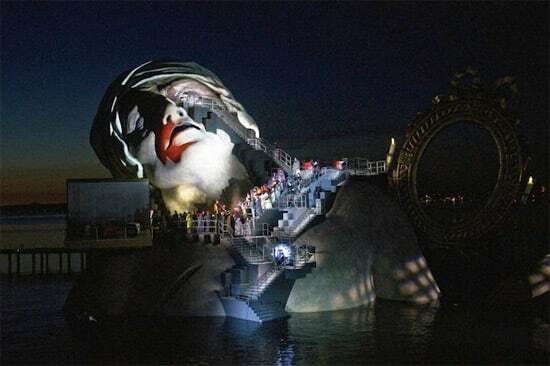 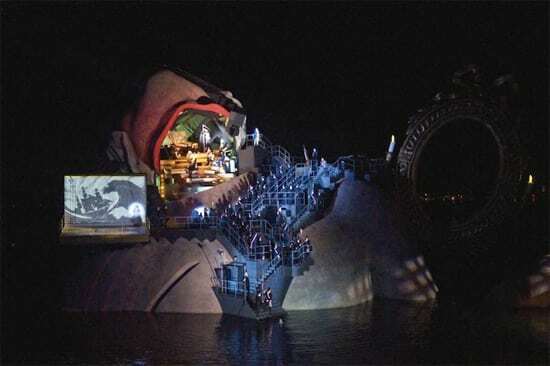 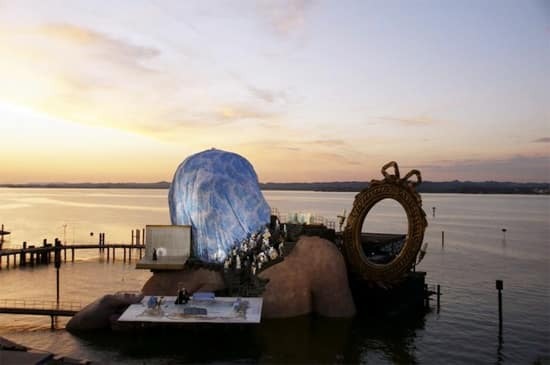 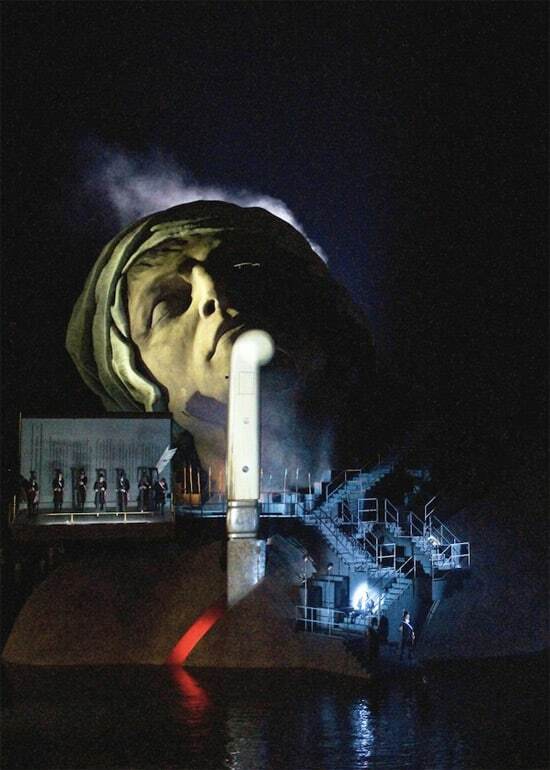 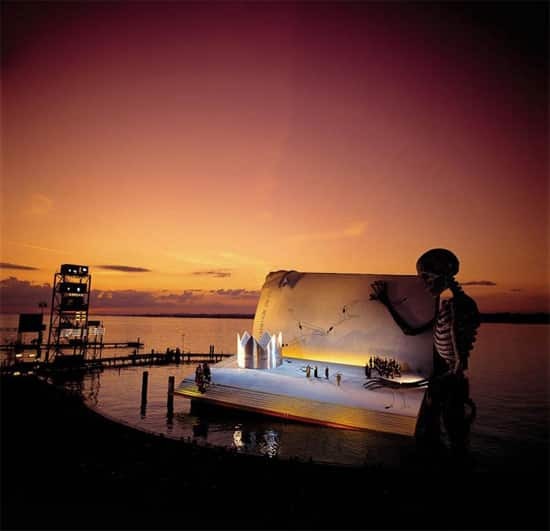 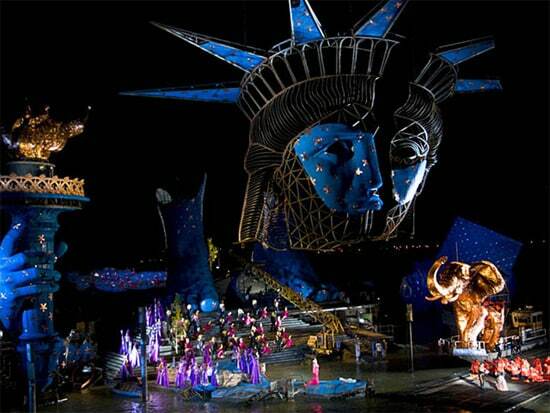 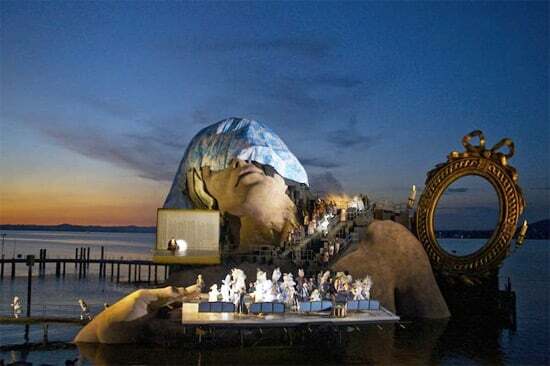 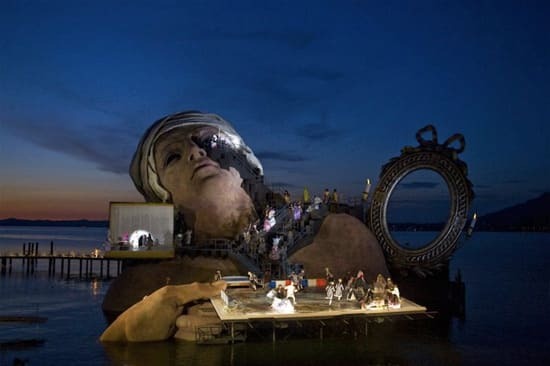 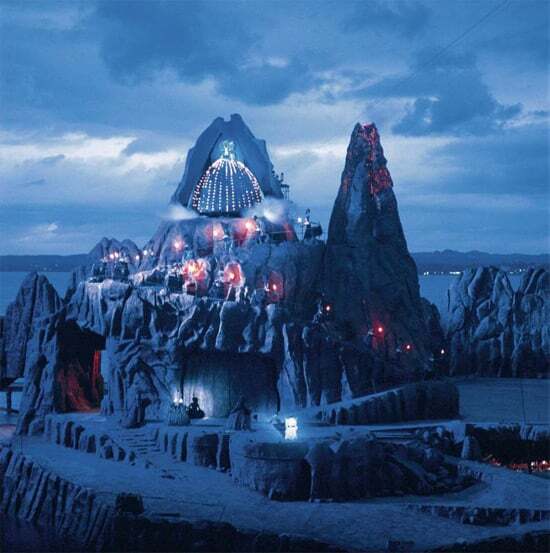 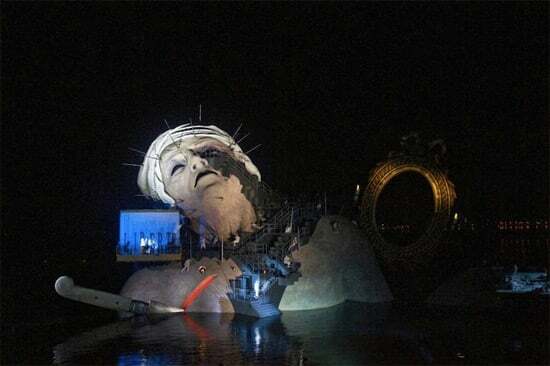 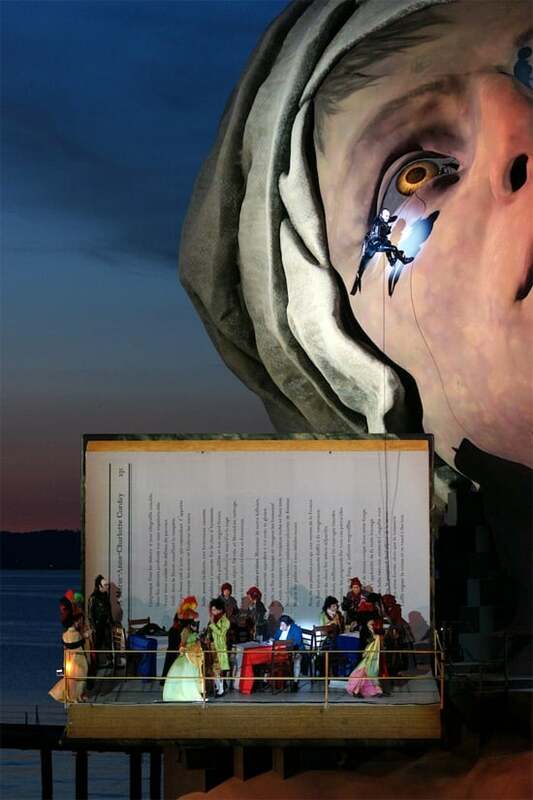 It was made for The Bregenz Festival, which is renowned for the major outdoor stages it has showcased since 1946. 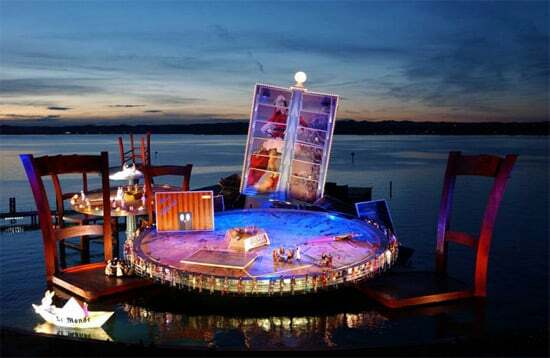 The “torso stage” has a capacity of 6,800 seats. 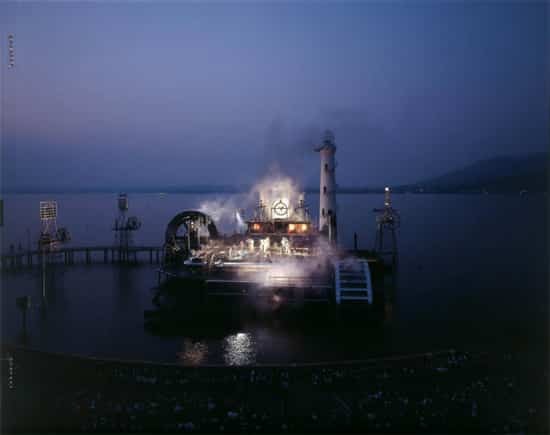 The striking structure is not floating: it is simply attached to a “concrete core” that is anchored in the lake and supported by glossy wooden poles. 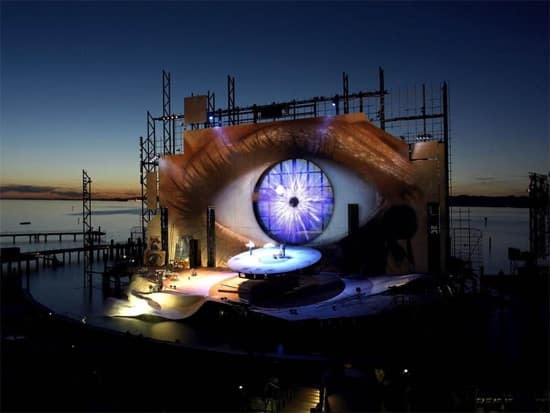 Speaking of stunning stages, check out the world’s coolest theatre in Melbourne. 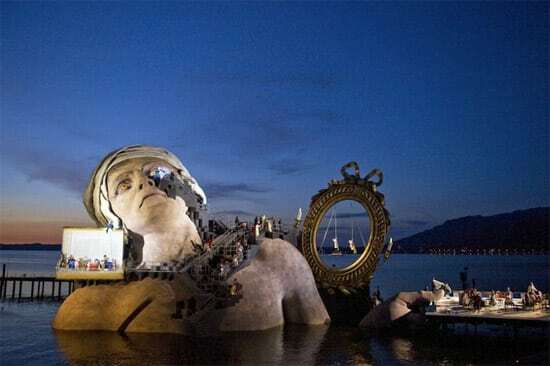 But is it as cool as this? 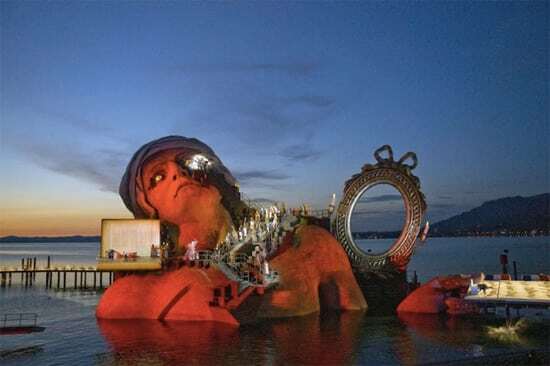 Now, if you’ll excuse me, I have to go book a one-way ticket to Austria, for I must attend an opera at the top of the hour. 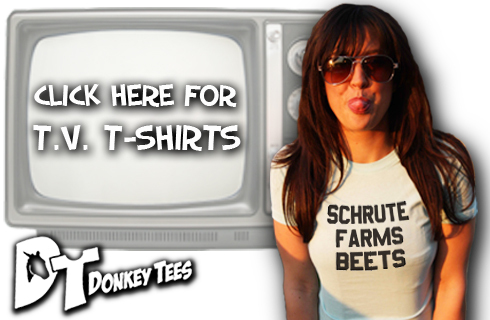 Won’t you (gulp) join me?